After a long night of dancing, many night club patrons leave the venue with a certain track stuck in their heads. But for Âme, the DJ/production duo of Kristian Beyer and Frank Wiedemann, the tunes lodged in their brains are the ones they didn't hear, ones not yet written that would fit perfectly in their sets. Since 2003, Beyer and Wiedemann have penned songs that once existed just outside club- goers' imagination, songs that boldly combined floor-filling elements with conceptual conceits while maintaining their visceral appeal. As part of Innervisions, the collective/label they run with Dixon, Âme (pronounced "AHM") offer glimpses of the future of electronic music through their live project, genre-melding compilations, and an independently run shop that completes the connection between artist and admirer. In a genre obsessed with reliving the past, Ame are focused on what's still to come. The partnership was formed in their hometown of Karlsruhe where Wiedemann first crossed paths with Beyer in 2001 at the latter's record shop, Plattentasche. Bonding over Chicago house, Detroit techno and much else besides, the duo joined forces in 2003 to produce seminal deep house platters for Sonar Kollektiv, many of which were collected on the duo's selftitled debut album. Intent on not repeating themselves, Ame splintered their established sound and found a more nimble, compositional approach that yielded their scene-conquering single, "Rej." Not content to rest on their laurels as the tune made the rounds on Defected Records and many others, the pair teamed up with Dixon and Henrik Schwarz in 2006 for another instant classic, "Where We At," featuring Derrick Carter's stirring vocals. It would've been understandable if Beyer and Wiedemann had further pursued the sound which brought them such acclaim, but for Ame the appeal is in breaking down influences and songwriting habits in order to craft something new. Without attachments to particular methods and patterns, the duo was free to develop an overarching view of what dance music could be and pursue it through various moods, timbres and even genres. But if one stylistic point shines through it's the group's penchant for orchestral instrumentation and composition, albeit deconstructed and enmeshed in vintage synth tones and spectral vocal samples. From the waltzing prototechno of "Fiori," a key movement in Ostgut Ton's ballet score, Shut Up and Dance! Updated, to the gargantuan brass tearing through the wildpitch strings of "Enoi," their work simultaneously evokes the conceptual ardor of John Cage or Tony Conrad and the dance floor thrust of DJ Pierre or Underground Resistance. 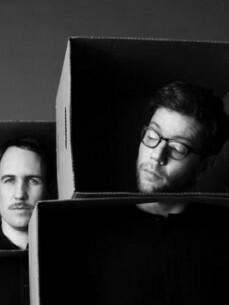 Âme 's ability to fuse together seemingly disparate influences is greatly informed by their talents as DJs. Not given to fulfilling trends, their sets draw upon the whole of dance music's history and keep them in great demand around the world. Their regular nights at such establishments as Robert Johnson (Frankfurt), Fabric (London), Trouw (Amsterdam), Lux (Lisbon), and Air (Tokyo) are exceeded only by their marathon sets during Innervisions nights at their beloved Panorama Bar (Berlin). Those awaiting the opportunity to experience an A?me DJ or live set have been well cared for as well, as the pair have captured their curating skills on mix CDs for Sonar Kollektiv, NRK Sound Division and Fabric, as well as the landmark survey of historical minimalism, The Grandfather Paradox compilation done in collaboration with Dixon and Schwarz. Ame are set to follow this achievement with a periodspanning mix all their own, Primary Structures.